I'm Janna, and I'm so glad you're here! Follow along with me on this adventure of life, decorating, and bringing modern farmhouse goodness to my little corner of the world. Growing up on an apple farm in Oregon, I dreamed of running a "big business" in the city. I never imagined I'd grow up to have such a fondness for the everyday items I tripped over in our barn. Life is funny like that. Sometimes the most unexpected detours are the most fun! *This post includes some amazing brands that partnered with us on our project. While they may have sponsored their portion, all opinions are my own. Some affiliate links have been used. Oh, friends. I have dreamt of this day for SO LONG. The day we finally get to share our completed renovation with you. The day I get to sit in my office, looking out at our little farm, and share the joy we feel here. It almost feels too big to put into words. ALMOST. I could probably fill an entire book with stories of our renovation process, but that’s for another day. Today, I can’t wait to show you around, and look back at the “before” pics, compared to the NOW! This is bound to be a lengthy post…so hang in there. We have so much to share! One little disclaimer: as you know, we haven’t been here long. The rooms are not completely decorated yet, but I decided not to rush things. We want to live here awhile and see what ideas evolve. Decorating and making our house a home is one of my greatest joys in life, and I’ll continue to share that organic process as time goes by. And NOW…let’s rewind to last fall. It was a pretty exciting morning, that Tuesday back in September. The skies were gray, and clouded with smoke from a nearby forest fire. We anxiously arrived at the property with our realtor, Brian, of Paramount Real Estate Services (THE BEST! )…to look at this 6 acres including an 1890 farmhouse. The driveway was so inviting, the property was beautiful. But the house? Not so much. She needed some love. Ok, a LOT of love. But fast forward a few months, and we were signing on the dotted line. Signing and beginning the adventure of a lifetime. Our #renovationontheprairie. The day our beauty got painted was a GAME CHANGER. She instantly looked loved & adored. We chose Sherwin Williams “Alabaster” for the body & trim. The new cedar-wrapped posts were stained with a custom-mixed stain…we were after a very light color. The original porch posts were rotten, and the windows were inoperable and definitely not energy efficient (but all of the original unique windows were saved for other projects). And after. So much love was poured into this porch! Our builder’s dad, Joe Fridley, hand-made the corbels, the brick was salvaged and repurposed from an old chimney stack we had to remove (a HUGE thank you to our mason, Gene @trofimasonry for laying this herringbone pattern! ), and I love this charming Anchorage lantern from Hinkley Lighting. The “welcome to the farm” was a thoughtful gift from Niki at Carpenter Farmhouse. Let’s go inside! Remember the entry before? The stair railing, while beautiful, was really low, and not safe for our family. This was one of the things that ripped my heart out a little bit. We considered having a new railing made to look very similar, but ultimately decided if it had to be replaced, we’d do something very simple so that the other original details could shine. And after. (below) For reference, you’ll notice the two outside long windows remained, but everything between them got a totally new look! The fireplace was once across the room (a 1960’s renovation), and it protruded into the walkway. We opted to relocate it to this main focal wall for a more inviting first impression. Furniture arrangement was a bit of a challenge in this long, narrow space, but after one big flop, it dawned on me! 🙂 (My first try included the sofa facing the fireplace…WRONG! It blocked off the entire room.) We reused all of the furniture from our last home, and couldn’t believe how perfectly it fit. (And hubby was relieved we didn’t need to purchase new things!) The sofa/loveseat are from Ethan Allen (the “Arcata”), and you can find the rug here! The finishes in this space were such fun to put together. I have always dreamt of white board & batten walls, so our fireplace wall was a great opportunity to showcase a pretty wall treatment. Using it on this one wall was a cost-saver, as trim can get spendy! With all of that white (Sherwin Williams “Alabaster”), I couldn’t commit to a white mantel as we’ve had before. It needed to be more rustic. Humble. Unassuming. We were thrilled with this beautiful old beam from Olde Wood Limited…perfectly aged, and the EXACT look we were going for! We chose an “overgrout” look for the stone, as we were trying to achieve the feeling that the fireplace has always been here. Speaking of the fireplace, we were so happy with the excellent customer service we received at Home Firestove here in Salem, Oregon. They helped us select the best propane fireplace for our home, and I’m not gonna lie…it may be summer but we’ve already enjoyed it several times! I’m a fireplace girl, so this was a must-have for us. We added two little square windows on either side of the fireplace because, well….I LOVE square windows! I feel like they add so much charm, and of course MORE LIGHT which is always a goal around here. The windows are highlighted by these Getty Dome Shade Sconces from Barn Light Electric Company, and I love the way the black pops off of the fresh white walls. Now it’s my favorite place to sit in the morning. It’s also a great spot for our bobbin chairs…and I thought they wouldn’t fit in this house! We’ve all enjoyed sitting here, taking in the views. Even a rainy day is a good day! And here it is now. The clock wall was shortened just a bit so the door isn’t so tucked away. We are loving the extra light that floods into the room! After removing some walls, we love the view all the way into the kitchen now. One open, cheery space. The dining area floats between the kitchen & living area (the original dining room became our kitchen…I’ll show you that in a sec!). I wanted a very simple, almost colonial looking chandelier here, and OH. MY. STARS. I love this one (The Alister) from Hinkley Lighting. We replaced our dining table with something a little smaller, which in turn meant new chairs. You can find the black chairs here, and the slipcovered chairs here. Ok, hopefully you’re not dizzy from all of these crazy angles. 😉 You’ll notice on the pic below, our dining table now sits right where that wall is, and the dining room beyond was transformed into our kitchen. The dining room (below) had low ceilings (under 8′) and the butler’s pantry (beyond that green door) hid some beautiful light from windows that were going to waste. Our builder opened up the ceiling and vaulted into a rather creepy storage closet upstairs (a MUCH better use of the space!). We flip-flopped the layout, and our pantry is now on the opposite side (you’ll see in a minute!). And don’t worry…that beautiful vintage chandelier got rewired and now hangs in the master bedroom. Ahhhh….the kitchen is now opened up to the whole house and is a much-loved gathering spot for our family. The kitchen backsplash got an extra special treatment with beautiful tile from Pratt & Larson…hand made, hand glazed, so pretty. This tile is stunning in real life…a total show-stopper! This fun pattern is the focal point of the kitchen, although still soft enough to avoid calling too much attention. We also added a pot-filler here…something that’s been on my wish list for years! (Find it here, from Delta Faucet.) See below. The countertops are Pental quartz, color is “Carrara”, and we used the same surface in the master bath & kids bath as well. All appliances are from Kelly’s Appliances, and our experience with them was wonderful. As you know, things always come up during a renovation, and at the last minute our fridge was on backorder. Kelly’s helped us find a solution very quickly and efficiently. The range hood is stucco, trimmed with alder, a nice addition to this sea of white. This beautiful farm sink (The Bradstreet II) is from Sinkology, and pretty chrome faucet (The Cassidy) is from Delta Faucet. We opted for chrome plumbing fixtures, since we decided to do flat black cabinet hardware. 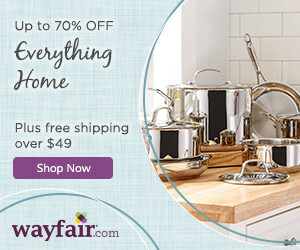 I love the classic look of chrome faucets (perfect for our old beauty!) and this simple hardware had me at hello! All cabinet hardware is from DLawless Hardware. Find the knobs here, and the pulls here. Here’s another fun “before”, looking from the butler’s pantry into the galley kitchen (sort of…it’s hidden behind that little wall!). And oh my, what a difference 6 months makes! is now open, bright, and just our style. And the same view now, below (the kitchen was reworked into our pantry, mud bench, and back porch entrance). Now the “back porch entry” is essentially our main entrance. 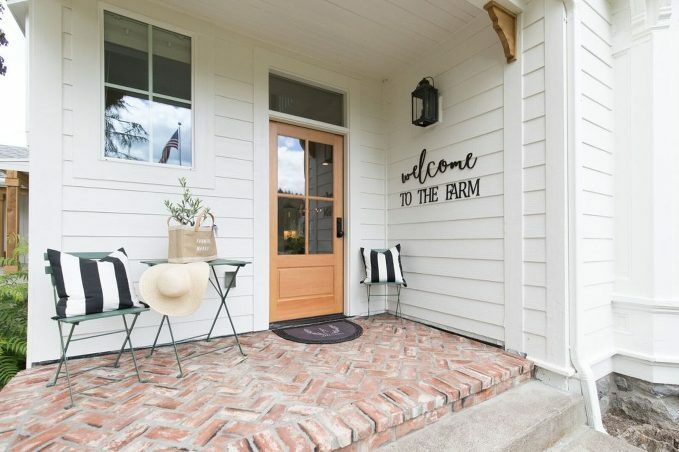 I fell in love with the idea of a very casual back porch door (a dreamy dutch door to be exact)…but it felt so welcoming to have our friends and family enter this way…directly into the heart of our home. The hooks are from DLawless Hardware, and you can find them here. Simple yet profoundly beautiful. Don’t you think? The porch got some beautiful barn lights from Barn Light Electric, these are the Goodrich Marathon Porcelain Gooseneck Lights, 12″. We added a built-in desk along one whole side for plenty of office storage, and that cute little closet door for the under-the-stairs storage became a ‘hidden’ shiplap door! Ummmmm YES YES YES. Another view, before…are you enjoying the wallpaper? The ceiling was left exposed so we could enjoy the beautiful original “insides” of the house, and it worked well since there’s no plumbing above this room. 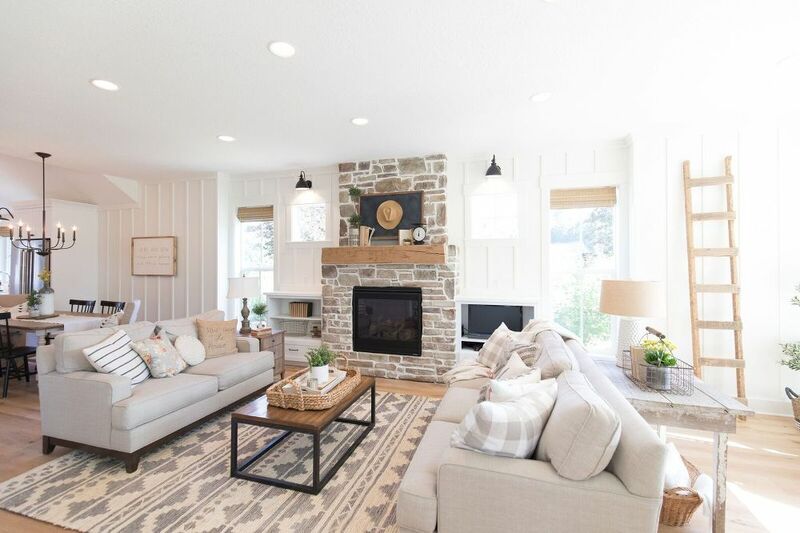 The wallpaper was painstakingly removed from the fireplace, and Home Firestove knocked our socks off once again with the perfect little propane fireplace insert…IS. THIS. HEAVEN? All of our door knobs are from Emtek, the Winchester in flat black. We adore the simple look! Let’s face it, no one LOVES laundry duty (or do they? )…but this inviting space has made it one of my favorite tasks! These beautiful luxury vinyl floors are Phenix Flooring’s Free Expressions with Stainmaster® PetProtect™ in “Dove.” We chose them for their durability, and since they’re 100% waterproof, it was a great option for a laundry room! I love the concrete look, which ties into the CUTEST sink you ever did see! The Ventana sink from Native Trails in made of an innovative material that’s 40% lighter than traditional concrete, is stain & scratch resistant, and is just gosh darn farmhousey. The countertops are butcher block, which brings so much warmth to this very white room. The washer & dryer came from Kelly’s Appliances, and their customer service has been second to none! The ceilings were low, and it felt dark. We vaulted up into the attic in the bedroom space, and here’s the outcome! The vintage dining room chandelier hangs proudly in here, flanked by beams from a former client’s horse barn, for a rustic touch. They play so beautifully off of each other! Floor to ceiling board & batten was added on the bed wall, and it added so much texture and interest. The cozy carpet is SO INCREDIBLY SOFT, Phenix Flooring’s Clever Expressions with Stainmaster® PetProtect™ in “Cast.” We just love the subtle pattern! The bed can be found here, the bedding can be found here, and the area rug under the bed can be found here. Marble basketweave floors, soft gray board & batten (Sherwin Williams “Front Porch”), fresh white cabinets, and a freestanding tub? Better than we imagined. (Find the chandelier here.) The tub is from Delta (find it here), as well as the beautiful chrome fixtures. These Cassidy Two Handle Widespread Faucets really add sparkle to this vanity. I still feel like I’m staying in a fancy hotel! Are you still here? This may be the longest post ever. 🙂 Not gonna lie, I miiiiiiight have just taken a taco break. Let’s head upstairs and I’ll show you the kid’s rooms! I almost couldn’t imagine HOW the upstairs was going to feel homey. But now? I LOVE!! The stairwell itself was (and is) pretty tight. We brightened it up with lots of white shiplap (Sherwin Williams “Alabaster”), and the horizontal lines of the shiplap add some nice interest. The floral wallpaper and bright blue carpet wasn’t quite his thing. Here it is today. The vanity was relocated to allow for a mirror over top, aaaaaand of course everything else was freshened up. A lot. Uhhhh, these floors. Heart eyes for days. These are luxury vinyl (Phenix Flooring’s Free Expressions with Stainmaster® PetProtect™ in Toasted Brown), but they have the look of real hardwood floors! We are pretty much obsessed. The chrome plumbing fixtures in here are also from Delta, the Cassidy Two Handle Centerset Lavatory Faucet. And the windows below are the same location as above…but now the room is fresh, white, and clean, with just a touch of board & batten! This bed is a good one, if you’re looking for a pretty iron bed. And so affordable! Find it here. Bedding was found on Ebay. The next two photos represent the areas that were combined to make one big bedroom/closet. Sort of confusing, I know…but trust me, it works so much better! Now the room is open and bright, and the closet (behind the gray door, below) allows for plenty of organized storage. Did you notice the original brick fireplace chimney that was left exposed in the hall? Oh, it’s so pretty! The sconce in the hallway is the Alister sconce from Hinkley Lighting. The simple lines are just right. Good thing we decided to re-do the old back porch…we found out there was an entire den of snakes under there! UGH!!! We can hardly wait for the next step, landscaping…especially that middle planter! But, we also know that we don’t want to take a second of this for granted. So maybe it’s time to just sit back and enjoy the farm for just a bit. One of the biggest blessings of this entire experience has been YOU. You’ve cheered us on, taken a personal interest, written us the sweetest notes, and we are BEYOND thankful. Thank you for joining us for the adventure of a lifetime…but guess what? We’re not done yet, friends. There are barns to fix up, acres of land to care for, animals to adore (in the future! ), and the process of home-making will be ever-continuing with our #renovationontheprairie. So, will you hang around? Join us for the next season of life here on Prairie Hill Farm? We can’t wait! But for now, I’m tearing into a fresh box of Hot Tamales to celebrate a renovation completed. Emily Osborne - I love it all but I have to say my favorite…..is the pantry and door! I would LOVE to have a big pantry like that. Oh and my second fav is your daughter’s closet!!!!! It’s all amazing how you reconfigured the entire house. How long did it take you to design the layout? You should make a collage of all your before pictures and hang them somewhere in the house. I’m not going to lie.. I anxiously await for your posts everyday!! I get so excited when your instastory icon appears !! I do have a question.. might be a silly one, but.. I noticed the lamp behind the sofa on the little table .. where do you plug it in , so you don’t have cords across the way? Or did you have an outlet placed in the floor? 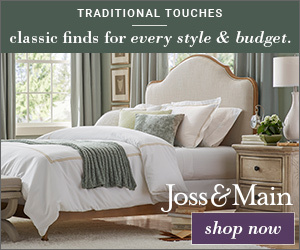 Again, I love your blog and your beautiful home!!! This morning, with my coffee, ohhing and ahhing over your reno…I am so loving all the words, details, pictures, tags of products and the pure love of your home! Thank you for sharing! Mj - Well,every time I look I find a different favorite room! I love the office and Oh…that Landry room!! I been rereading hoping to find information on your front door? Can you share where you front door came from? Adrienne - I LOVE everything you’ve done with your sweet, new farmhouse. I’ve been watching the process all along and SO wish we could do the same. We are retired and have dreams of making our current or maybe a ‘new’ home into our dream home. Your transformation has sparked so many ideas for the home we’re in now and for future dreams. Thank you, thank you, thank you for sharing your journey with us. I can’t wait to see more! Shelly Elston - Your home is stunning! I have thoroughly enjoyed following this journey and am in awe of your vision and talent. And the fact that the home was built in 1890 by an Oregon Trail pioneer is just such a bonus. I’m curious to know if you have access to any original blueprints or documents regarding the house or if you found any old artifacts buried in walls or in the ground around your house? Again, congratulations on your beautiful home! I’ll be looking forward to following you as you landscape, etc. Nancy - This was so fun to watch sit is absolutely beautiful!!! Pam Foster - I cannot even believe the transformation of this house!!! Seeing how it looked before and comparing it with today is astounding! I love what you have done. You have the most inviting, fresh new look! The color choices and flooring and everything put together are absolutely wonderful! Loved seeing all this on your blog post today! *This post sponsored by Stainmaster®. All opinions are my own. Finding our dream property? Check. Getting an amazing team in place to do the renovation? Check. Demo? Yep, that was fun. AND THEN…the planning really began. We started thinking of things like “How do we want our house to look? How will it function? What kinds of things can we do to make it easier to care for? Which surfaces will stand up to every day wear & tear, teenagers, dogs, entertaining, farm life, muddy boots, spills, future grandchildren (ahem…that’s a long way off since we’re so incredibly young ;))?”, and the list goes ON!???? I mean, these are the THINGS! The things we needed to consider, care about, plan for, and focus on. Someone once told me that other than your bed, the floors are the surface with which you have the most contact. In my mind, that translates to a pretty important decision when it comes to flooring. The newly opened up space was a welcome change, but we definitely wanted a super DURABLE floor for this room. So many functions in a small space…washer & dryer, entrance from the back yard (hello muddy shoes), and home to our dog when we’re away from the house during the day. We needed something waterproof, puppy accident-proof, and scratch resistant. On top of all of that, it needed to look great! We were so thrilled to find this luxury vinyl flooring from Stainmaster® (find this STAINMASTER® PetProtect™ Phenix “Free Expressions” PT100, color “Dove” here!). It checked all of our boxes. The “concrete” look would match up perfectly to the hardwood flooring in the hall, it was just enough pattern to help hide dirt (let’s face it, I’m not into mopping every day), and since this floor doesn’t require grout, there would be nowhere for pet stains to occur! WIN-WIN!!!! Oh my goodness, YES. This STAINMASTER® PetProtect™ Phenix “Free Expressions” PT100, Santa Fe Collection, Color: Toasted Brown was LOVE AT FIRST SIGHT. We could NOT be happier with this luxury vinyl floor. It looks like REAL hardwood, but it offers the ultimate durability for a bathroom. 100% waterproof, gorgeous, and oh my lands. I could see this installed in an entire home instead of hardwood…DREAMY! If you have dogs, kids, or just want a low-maintenance high-style option, THIS IS IT. 5 stars!!! Let’s talk carpet. I know, I know…not usually the most exciting subject. But wait a sec, WHY NOT?? I love the coziness of carpet in a bedroom, and the way it brings “quiet” to spaces (an entire home full of hard surfaces can cause quite an echo!). I’ve always loved the “tidy” look of patterned carpet, and we knew we wanted something pretty, pet-friendly, and stain resistant in our home here on the farm. This STAINMASTER® PetProtect™ Phenix ST155 Clever Expression, color: “Cast”, is absolutely HEAVENLY and we used it in all carpeted areas of our home. In the showroom it looked kinda on the “thin” side…but GUESS WHAT?? It might be the softest carpet I’ve ever felt. We used a STAINMASTER® memory foam pad, and that lends to the luxurious feel as well. This STAINMASTER® PetProtect™ carpet has unsurpassed durability (yes, please…we don’t care to move all of our furniture for new carpet any time soon! ), and unsurpassed cleanability (perfect for puppy accidents). Our master bedroom was in desperate need of an update when we bought the place…see the “before” look below! Fresh, clean, cozy, and oh-so-ready for a good vacuuming and MOVE-IN!!!!!! I love how the pattern adds interest without stealing too much attention from the soon-to-be-decorated space! So the former owners were on to something with the carpet, but it was ready for an update…see the current mid-install view below! And now, with just days until MOVE-IN DAY, it’s hard to sleep at night. SO. MANY. FUN. THINGS. TO THINK ABOUT. And the best part? We won’t be worried about our floors standing up to YEARS of wear & tear…we can just LIVE. And ENJOY. We are SO HAPPY you’re here for our #renovationontheprairie. And FRIENDS!!!! Moving day is right around the corner! Shelby - Hi! I have been following along your journey and have loved witnessing it! It’s been fun! I’m curious…you mentioned in your floor post flooring for different spaces in the house. What did you use for your kitchen/family room flooring? Let’s catch up! We’ve shared the demo process here on the blog (you can find it here! ), but now let’s talk about what’s been happening since then…the joy-filled process of rebuilding this old beauty. Gosh, and we thought demo was fun! I still remember the moment we decided to step out of our comfort zones and trust God. We had absolutely and completely fallen in love with this home, and the 6 acres surrounding it. But….what IF??? What if this was a money pit? What if there were some major things wrong? I mean, this house was built in 1890! Who would do the work? Where do you even begin on something like this? Amidst the swirling questions and concerns in our heads, my hubby and I both had a feeling that THIS WAS IT. Home. You know the feeling when a puzzle piece fits into place? How you can almost hear it “click” in? That’s what we felt in our hearts. Having an amazing builder on board, Fridley Custom Homes, we were ready to start this part of our adventure! Framing happened first…pictured above is the pantry. This is where the former 60’s kitchen once was…it was tiny! We are still trying to figure out where the original kitchen may have been, but that was gone long before we purchased the home. Most of the framing needed happened in the 1960’s addition. There were hardly any changes to the 1890 original part of the house…whoever built this place chose a beautiful layout that is still functional today. (Above) Our builder, Nolan, and I are discussing plans for the sliding pantry door. The roof just above the entry was modified during framing. The original house had a flat decorative roof in this spot…which is tough in Oregon. We get a TON of rain, and our inspector suggested we address this area. Leaky roofs are not fun! I love this shot…it was such to treat to see inside these beautiful old walls. Notice the glimpse of the office ceiling at the very top of this pic (above)…we’ve decided to leave it exposed & original…too pretty to cover! Next up was electrical. You’ll notice all of the original lath & plaster was removed, which is not an easy process, and definitely not preferable. BUT, the wiring had to be completely updated for safety, and in some areas there was literally a breeze blowing through the house, so we knew good insulation would be imperative. Just before the next step, we gathered as a family at the house to pray for our new season and write some scripture verses in the walls. Such a special day! AND THEN. Game-changer. The day the windows arrived was surprisingly the MOST exciting day to this point. This was really the first big change & step forward, and boy was it a pretty one. 🙂 All of the original windows were saved, and some will even be incorporated later in a fun way, but the new windows will keep our family warm in the winter, they OPEN to allow for fresh air (the old windows were painted shut), and they allow us to enjoy our beautiful surroundings here on the farm. (Umm, do you detect my defensiveness here? ha ha…we’ve received a few notes from people who were very bothered that the windows were replaced. To each their own, right?) We selected a classic single mullion pattern to honor the history of our home. Once we were “dried-in” with new windows, new insulation was added. This step was SHOCKINGLY wonderful! The house instantly became more quiet, warm, and we were well on our way to a cozy house for our family. Hello, sheetrock!! This was a super exciting day (Uhh, seems like I say that EVERY day around here!). But wow, the impact! We have real walls again!!! The sheetrock also provided a light, airy feel to the house…which was a fun change after looking at bare wood for so long! During the demo process, the original chimney was discovered in the upstairs hall…there was NO WAY we were gonna cover that up again! I love the warmth and history it adds to this little area. Special care was taken to preserve the original corbels in the eaves…extra time for sure, but well worth it! The porch posts are completely rotted, so new posts will be added soon. Hey, those posts held the house up for a long time! Gah! Doesn’t she look happy with her new siding? This old girl has a whole new lease on life. Hopefully now she will stand for at least another 128 years. Before we knew it, cabinets were arriving. These custom-designed cabinets, from Parkwood Design here in Salem, Oregon, REALLY made this place feel homey! We chose a classic shaker style cabinet, and decided to do a stained island, for that feeling of warmth & welcome. The former kitchen was very 60’s, with green cabinets and funky vinyl floors, but I love that each family has put their own stamp on the house. We are so grateful to be the next in line! We opted for butcher block countertops in the laundry room, for a classic feel. The warmth of the wood really softens all of the white! The countertops arrived earlier than I was expecting…and what an exciting day that was! We chose Pental quartz, and the color is “Carrara.” We were thrilled with the helpful folks and installers from Bella Pietra Marble & Granite! The gray-ish white finish with slight veining is so pretty against the bright white cabinets. The farm sink is something I’ve always dreamt of, and I love the way it looks in our kitchen! You can find the sink here. Excuse the dirty/dusty counters (hello, construction zone! ), but I have a feeling we won’t mind doing dishes here! Next, the finish carpenters showed up, and started on trim, including the board & batten shown here (above), in the living room. It will all get painted out white and OH HOW I CAN’T WAIT TO SHOW YOU THAT. This type of treatment adds texture & interest, and felt totally classic for this house. These types of trims can get pricey, so we sprinkled them around the house in key locations, where they would make the biggest impact. Ok, so I couldn’t wait any longer! Here’s that same wall, now with primer. Paint should happen this week, but I’m in LOVE already! The stairwell was a whole lotta wall space, and not much else to see. We added this pretty little high window, and lots of shiplap for texture. 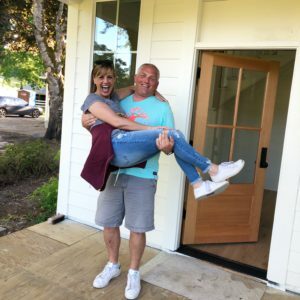 I often get questions about shiplap….”Do you think it’s a fad? Don’t you think it’s going out of style?” I guess it depends on your home, and your setting. During demo we uncovered some beautiful old shiplap in this house. If it was good enough for the Oregon Trail pioneers who built this place, it’s good enough for us! Ohhhhh my stars. It’s SO pretty. It hasn’t been grouted yet, but I couldn’t wait to show you! We chose a coordinating hand-made 3×6 subway tile for the rest of the kitchen, also from Pratt & Larsen. Classic & simple, the theme of this renovation. We chose to take the tile all the way up to the ceiling, since there’s hardly any wall space in this kitchen. More tile? YES PLEASE. I can hardly wait for grout! (above) We selected a classic marble basketweave tile for the master bath floor, also not grouted yet. So perfect for this house! When we bought the place, the back porch entrance had definitely been updated somewhere along the line, but we really wanted a more old-school back porch feel. After changing out the windows and siding on the 1960’s addition to blend better with the original house, we decided on a concrete porch, which will most likely be faced with brick (still making decisions). This new porch will be sweet & simple, much more in keeping with our country setting. This fireplace in my office was such a treasure to uncover! It had been covered in blue wallpaper (probably part of the 1960’s renovation), and was the original heart of the home. Now that it has been cleaned up, I. LOVE. IT. And I look forward to staring at it with heart eyes for many years to come. So imperfect. Just the way I like it! The most recent development around here is some freshly primed walls. WHO KNEW you could actually fall in LOVE with primed walls? I love thinking about how many sweet families have walked up and down these original stairs. How many babies were born here? What were the families like? I do know that the last family to own this place was here 50 years. I love that. It’s obvious they loved this property well. They added on to the house during their time here, and made their own upgrades & design decisions. And now, we get to be part of the story. And we’ll do our very best to take care of this happy home on the hill. So what’s up next for our #renovationontheprairie? Well, paint is happening this week (interior) and I believe exterior paint will follow closely after that! We can’t wait to reveal our exterior paint color, and we hope you’ll love it as much as we do. We hope to be moving in within the next month…so that means some beautiful finishes are on their way too…flooring, stone, lighting, all kinds of things! Be sure to watch our Instastories for real-time updates, and of course follow along here for all the details. We LOVE having you with us for the adventure! Fiona Smith - Loving following your journey making this old gal beautiful again! I look forward to your stories! I live in New Zealand in one of the original homes built in my town. Is was designed an an American architect in the 1920’s. I too imagine the families who lived here. I also adore that you wrote scripture on the framing. 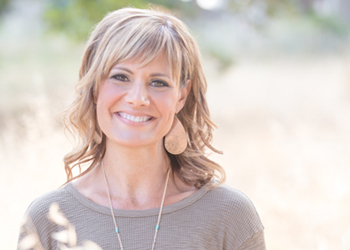 Pennyreyjohnson - Janna I look forward to each step…it is so fun to read your comments and watch your stories! This truly is an adventure and a blessing from God. You have a gift for decorating and each one of us love seeing this transformation! Ryan is doing a beautiful job on the landscaping. ..making it so inviting with the trimmed up lawns and driveway. Gosh. When you’re in the midst of a massive renovation, you feel completely unsettled, and your schedule is nuts, it might be time for the OPPOSITE of what you THINK you need. Stick with me here. I’m not a very exciting person. 😉 I like routines, schedules, and I DON’T like to have a completely jam-packed schedule. This girl needs white space, ya know? Let’s just say, it’s not like me to jet off somewhere when our lives are completely upside down with the renovation of our 1890 farmhouse. BUT. My favorite Texas clients, Mike & Christie, wanted to schedule a little spring remix/refresh, and I said YES in a heartbeat! Wait, I did??? But what about THIS, and what about THAT? HELLO. I adore Texas (and these clients)…and everyone KNOWS you DON’T MESS WITH TEXAS. So I hopped on a plane, and the fun began! You may remember Mike & Christie, and their home, from past posts. If you’re new here, you can read about the first visit to style & decorate their home here, the next trip here, and another one here! 🙂 They scooped me up from the airport, and we jumped right into our to-do list. We did a little furniture shopping, stopped at Calloway’s Nursery for front porch flowers, and hit Homegoods! When we arrived at Mike & Christie’s home, we went straight out to see the animals…and look at the glorious sunset that night! (below) Oh Texas, you really know how to put on a show. The next day, we headed out early to hit Vintage Market Days of Denton/Fort Worth. It was an AMAZING show, with so many goodies! We had some great success finding a few unique pieces to incorporate into the spring/summer decor. After the show, we drove home for a quick lunch, and then it was PORCH DECORATING TIME! Porches have my heart, which makes them so much fun to adorn for each season! It was a beautiful, sunny, WINDY day, and I was excited to dig in. Once I decided to use a church pew Christie had in another location, the rest of it came easily. We had found a neat old screen at the Vintage show, which was perfect to add height behind the pew…a great spot to hang our Homegoods sign! And of course, the beautiful flowers from Calloway’s…they brought the whole thing to life! Wanna see? This fun basket on the front door (below) holds cheery yellow flowers (faux) and makes a great first impression for friends & family. With the porch complete, it was time to turn my attention to remixing a few areas inside. I just love this view! Every morning of my stay each time, it’s fun to sit in this bright kitchen, eat breakfast, and look out at the horses and chickens. Ahhhh! I’m getting homesick for this place already! Let’s step into the living room, shall we? I adore this rusty metal screen-like piece above the mantel…perfect to call attention to the pretty peony artwork. It was the first thing we found at Vintage Market Days! I love the way light floods this house, in every direction. What a treat to be here! To the right of the front door is the music room, where the piano-top was restyled for fun. See the cabinet above the toilet? Some simple useful items make a nice display.